Is It Safe To Eat Muskmelon (Cantaloupes) During Pregnancy? What’s in a name! Call it cantaloupe, kharbuja, rockmelon or sweet melon, a muskmelon by any other name would taste as sweet. Mostly available in the summer months, muskmelon is known not just for its taste but for its nutritious values too. According to the USDA, pregnant women should consume two cups of fruit every day (1). So, what better way to meet that than eating muskmelon? MomJunction is here to discuss another seasonal fruit. We’ll tell you if you can eat muskmelon when you are pregnant, how good or bad it can be and the safest way to eat the fruit. Yes, you can eat muskmelon but in moderation. They are extremely beneficial during pregnancy and provide the best of nutrients while catering to the taste buds. Moderate in calorie count and high in nutritional value, muskmelon is good for pregnant women. These are one of the to-be-eaten fruits for the growth and development of your baby. However, do not be surprised if your doctor tells you to avoid the fruit, as it could contain listeria bacteria on the outside. It is safe as long as you peel the outer cover, cut, slice and eat the inside pulp carefully. So, why did we categorize this fruit as ‘to-be-eaten’? If you are asking, “How are these nutrients going to be helpful to me?”, then here is the answer. 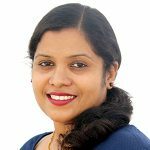 Vitamin A is critical for the growing fetus to develop healthy cognitive functions and ward off any congenital disabilities. It supports the growth of your baby’s heart, lungs, kidneys, eyes and bones (3). Muskmelon contains a good amount of vitamin A. Being rich in folic acid, it also helps prevent neural tube defects (4). The calcium content in muskmelons helps in forming healthy bone and tooth structures in your baby. 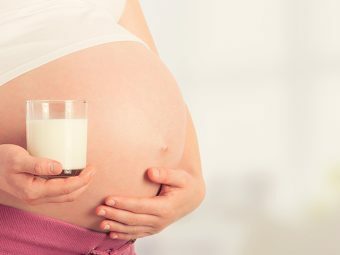 Calcium is vital for both mother and child during pregnancy. The amount of iron in muskmelon helps in the healthy production of hemoglobin (5). A good count of red blood cells prevents anemia in pregnant women. It also improves the blood flow through the uterine cavity with sufficient oxygen for the baby. Phosphorus is essential for active muscle contractions during labor. It also helps in blood clotting, kidney function, nerve conduction, tissue repair and heart function. Muskmelons contain abundant anticoagulants, otherwise called blood thinners, which prevent the formation of blood clots. The clots pose the risk of blood vessels blockage, kidney failure, and heart stroke in mothers. Muskmelon has the right amount of anticoagulants. Vitamin C helps you to battle those annoying minor infections such as a cough, cold and flu during pregnancy. This vitamin is also necessary for the growing baby to develop a healthy immune system. Drinking muskmelon juice replenishes vitamin C in the body (6). Also, carotenoids (beta-carotene and lycopene) present in cantaloupes strengthen the immune system of both the mother and the baby by fighting various life-threatening conditions such as cancer. The high water content in muskmelons prevents fluid and electrolyte loss from the body. Its coolant property manages the heat produced inside the body and thus provides relief from constipation, which is a major issue during pregnancy. Thiamine or vitamin B1 helps in the healthy formation of central nervous system in your baby while fighting several prenatal issues. 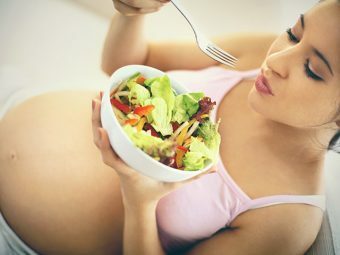 The vitamin also helps control the extreme sense of nausea and morning sickness during the first trimester of pregnancy. It is also important for improving the quality of breast milk after delivery. Potassium in cantaloupe regulates the fluctuating blood pressure levels through the course of pregnancy (7). Overweight during pregnancy could pose a high risk of miscarriage, preterm labor, and high blood pressure. Calories in muskmelon are negligible, so it is an excellent alternative for fatty foods. It is a fat and cholesterol-free substitute. Cantaloupe aids in the digestion of the food you take. It helps you stay away from heartburn, acidity, gas formation or any other digestive issue. Apart from the fleshy pastel fruit, muskmelon seeds, too, are good for health. Fight intestinal worms: Crushed seeds flush out the intestinal worms and remove the excess phlegm from your body. Offers relief from stress: Juice made from muskmelon seeds keeps your mind free from stress. Also, the paste of seeds can be applied to the forehead for relief from tension. Are There Any Side Effects Of Eating Muskmelon In Pregnancy? Muskmelon does not pose any side effects or allergies unless you consume a pesticide-ridden fruit. The only reason for the fruit to be “kept away when pregnant” is due to the bacterium listeria. In the year 2011, the US experienced a terrible listeria outbreak (8), and it was found that muskmelon was the source of the infection. There are chances for the bacteria to enter into the fruit when cut, and can initialize the infection in pregnant women. If affected, listeria could lead to stillbirth, preterm labor, and miscarriage. Then, what is the right way to eat the fruit? The fruit should be washed before you consume. It would help in washing off food-borne diseases such as listeriosis and toxoplasmosis (9). Scrub and wash the rinds before cutting the fruit. Also, wash your hands after handling the melons. 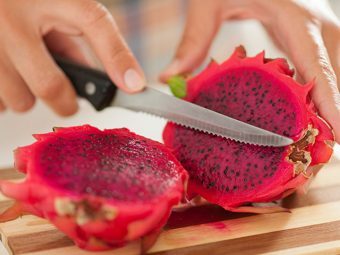 Once cut, eat the fruit immediately, and avoid refrigeration for a long period. Muskmelon can be eaten as it is or used in salads, puddings, and milkshakes. Benefits of melon are many, but an infected one could be dangerous. Consult your healthcare provider before including the fruit in your diet. Did you have muskmelon when pregnant? Share your experiences in the comment section. Is It Safe To Eat Yogurt During Pregnancy?